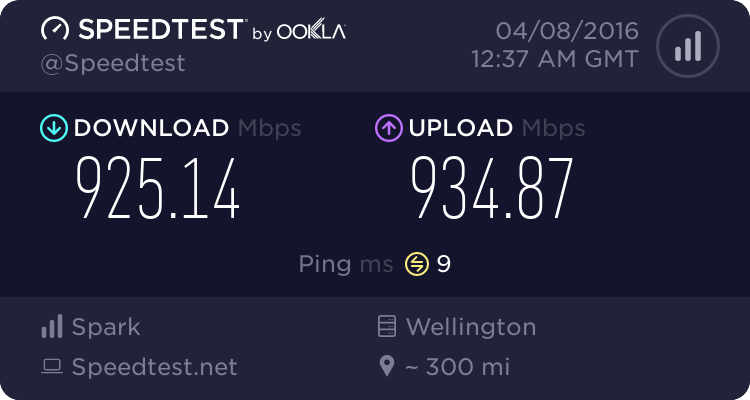 Does anyone know if its possible to get a /30 on Spark fibre? All I need is 2 public ip addresses for development purposes, one will be loaded directly onto a linux box, the other onto a router. No, there isn't any way with Spark to get a second IP address on the PPPoE session. Use a different port or purchase a VPS. Spark don't use PPPoE for public subnets, it's statically assigned - I saw it all detailed once for the schools that were connected via fibre with Spark, I haven't been able to find this info again. A managed switch is required on the ONT ge1 port with the usual vlan10, any client/device/server/router etc that requires an ip in the public subnet gets bridged to vlan10 via the managed switch and the ip assigned statically. Key thing here is the (majority of) schools are not connected with Spark but Spark Digital. gareth41: Spark don't use PPPoE for public subnets, it's statically assigned - I saw it all detailed once for the schools that were connected via fibre with Spark, I haven't been able to find this info again. A managed switch is required on the ONT ge1 port with the usual vlan10, any client/device/server/router etc that requires an ip in the public subnet gets bridged to vlan10 via the managed switch and the ip assigned statically. You are talking about the Spark Digital business broadband service. If you're happy to pay for that then they will be happy to sell it to you. But don't expect it as the retail broadband price. It will be cheaper to get a second and third unique connection than the business broadband service.